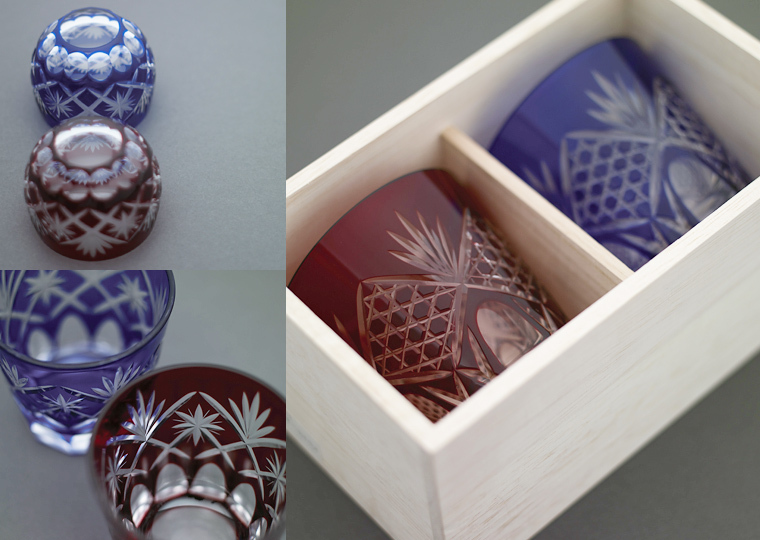 Edo Kiriko is designated as the traditional handcrafts of the Metropolis of Tokyo and also the country, Japan. It is said to have started back in 1834, when Kyubei Kagaya of glass shop in Edo Odenmacho sculpted on glass surface. Cut is very detailed, and finish is clear and brilliant. The patterns used in our collections are some of the most standard Japanese patterns. They are fine art with traditional and detailed craftsman’s technique that has been inherited continuously for a very long time.